Crommelins Machinery was established 1958 and supplies, builds and imports high quality portable machinery for the Building & Construction industries; the Hire and Rental Industry, Mining companies, Agricultural and Government Departments. Crommelins build a comprehensive range of their own CROMMELINS™ branded Generators, Pumps, Pressure Cleaners, Concreting and Compacting products powered by SUBARU, petrol and diesel engines. They are the sole Australian distributor of SUBARU Industrial Engines, Pumps & Generators and represent leading international and local brands such as Spains Himoinsa Silent Generators and Light Towers, Italys AR Blue Clean Pressure Cleaners and American Ground Hog products just to name a few. All products are available for sale through an established network of over 600 Australian resellers and service agents. 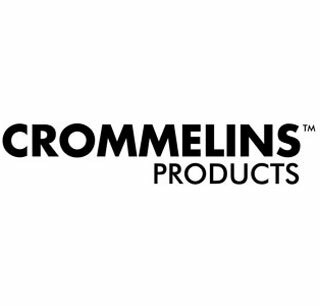 Crommelins takes pride in all products they sell and they live by their company Mission Statement; “To provide customers with quality products and product support that consistently exceeds their expectations and adds value to their business". Crommelins customers have direct access to spare parts, service and fault finding information through the reseller and service network in all Australian states, the national call centre’s numbers and Crommelins interactive website. Crommelins are multiple winners of the HRIA Supplier of the Year Award for their national backup of spare parts, service and product support.